Eat on the go with delicious hand dipped corn dogs on a stick! These hand dipped corn dogs provide the savory solution to any appetite. At Strictly On A Stick you will also find the specialty Boysenberry Corn Dog. The combination of sweet boysenberry cornbread and savory hot dog create the perfectly fulfilling treat. 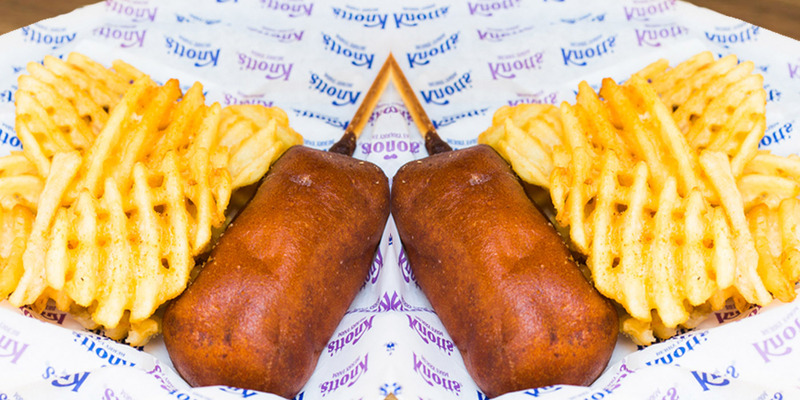 Pair any corn dog with an order of shoe string fries – the ideal meal for any partner. Strictly on a Stick is quick service counter located across from the entrance of Timber Mountain Log Ride in Ghost Town.